Many digital services agencies specialize in certain industries to differentiate themselves from the competition. They build experience in certain areas so they can provide increased value to their customers. When it comes to building a digital experience, brands can work with industry specialists to save time and money during development. This holds true for Magento development as well. Industries have their own jargon, trends, and technologies. Digital services agencies that don’t understand the nuances of a field often have a difficult time connecting with their clients’ needs. They understand infrastructure, design principles, and navigation, but they may not appreciate how the Health Insurance Portability and Accountability Act (HIPAA) impacts site design in the medical industry or the unique shipping needs of firearms dealers with online stores. Better communication. Professionals with industry experience can better anticipate their clients’ needs and communicate more effectively at every turn. They understand the importance of stock keeping units (SKU)-based ordering for B2B clients and the importance of organizing industrial parts in a user-friendly manner within an inventory management system. Those without industry experience may spend days trying to learn about and understand the nuances of a field. Depending on the project, a professional may need to demonstrate an understanding of upholstery fabric, SAE steel grades, or vegan beauty products. Nothing can replace the ease of communication that comes with industry understanding. Industry-specific knowledge. Industry-focused agencies know more about the market trends, challenges, products, and competitor activities that may affect their clients. They can quickly identify a client’s pain points and offer effective and focused solutions. In the medical field, for instance, businesses can tap into the power of many industry-focused technology solutions. Agencies that specialize in that industry can offer valuable insights into the pros and cons of using certain tools, platforms, and services. Professionals familiar with certain industries may also demonstrate understanding of crucial laws and regulations that impact a business. In finance, gun sales, and health care, for instance, agencies must understand the rules and restrictions a client faces. Preexisting work. An industry-focused agency may have worked on similar projects in the past. The company may have valuable templates, notes, and tools at its disposal. Professionals can tap into their resources and past processes to facilitate new projects, save time, and deliver high-quality results. For example, a Magento platform extension may forward email alerts outside the admin panel to facilitate store management. If a developer has already created the basic code for the extension, he or she may need to perform minimal work to modify or customize the extension for a new client. Agencies that work within a particular field can often pass savings along to their clients because of their past project experience. Value-driven advice. When a professional truly understands a client’s industry, he or she can deliver more valuable recommendations based on the client’s best interests. For instance, an agency may keep up with the latest news and recognize the changing nature of an industry’s supply chain. An account representative can use that information reach a client and recommend cost-effective shipping solutions that will translate to valuable savings. A generic professional may not have ever recognized the industry shift or the savings opportunity. A better fit. Industry knowledge can create a peace of mind during any project. If an agency understands the context of the project and your expectations, you can relax while the professionals focus on work that will take your brand to the next level. At Forix, we have experience working in many industries, including B2B, automotive and equipment, firearms, outdoor and sporting apparel, health, medical, wholesale, and beauty. Our full-service web design and development agency focuses on industry understanding, so we can exceed our clients’ expectations with every project we undertake. With nearly 10 years of experience with Magento and e-Commerce, Forix has worked businesses in every industry. 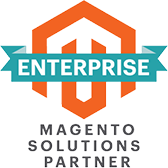 From automotive, to fashion, to outdoors, and more, get in touch to see how our experience can give you the edge in implementing your next Magento instance.